NAPIER, William, stationer, 474, corner of Lancaster Court, Strand 1772-91; 49, Great Queen Street 1791-c1800; 8, Lisle Street, Leicester Square c1800-09; 5, Lisle Street 1809H; Princes Street, Leicester Square c1809. Started musical circulating library 1784. Joseph Dale purchased plates and copies from Napier for £450 c1785. Bankrupt 1791. Described as music seller to their Majesties 1792K-1802H. Publ. cats. c1778, c1780. Humphries and Smith. NARDINI, bookseller, see Polidor and Nardini. Poss. the same as C. Nardini, printer, 15, Poland Street, Soho 1802H. NASH, James, copperplate printer, John Street, Tottenham Court Road 1799H. NASH, Samuel, stationer, 64, Strand 1781; 110, Bishopsgate Street without 1785B-1801 P. Livery Sta. Co. by 1781. Common councillor Bishopsgate ward 1801-22. City Poll 1781: C.
NASH, Solwey, engraver, Westminster Poll 1784: H., W. Macclesfield Street 1784. NEAGLE, James, engraver, Action Street, Battle Bridge 1799H, 20, Chad's Row, Gray's Inn Road 1802H-1805H. B. c1760; d. 24 June 1822, Philadelphia. Entered Dublin Society's drawing school 1776. Book illustrator in line manner after Stothard, Smirk, Fuseli etc. Worked for Boydell's Shakspeare, Sharpe's and Cook's Classics and many other works 17891816. Emigrated to Philadelphia 1819. Son John B. Neagle c1796-1866 active as engraver in Philadelphia. ONB; Thieme and Becker. NEALE, J., printer, Eversham Buildings, Somerstown 1799H. Prob. the same as Neale, printer, Charlton Street, Somerstown 1804. See also Arthur Neil. Todd. NEATBY, James, stationer, 316, Borough 1776K-1789L. D. 10 Dec. 1788. Livery Sta. Co. by 1781. City Poll 1781: L. Musgrave. NEELE, Samuel John, engraver and copperplate printer, 352, Strand 1782-1833; corner of Round Court, Strand 1808; 3, Burleigh Street, Strand 1834-37. Trading: as S. J. Neele 1782-1827; as James and Josiah Neele 1828-32; as Josiah Neele 1833-37. B. 1758; d. 1824. Livery Cooks' Co. by 1792. Engraver specialising in book illustrations, maps and heraldry. Most engravings signed with surname only. Worked with Harry Ashby 1781. Early publications include: The siege of Penobscot by the rebels ... With a chart of the Peninsula of Majabigwaduce, and of Penobscot River, by J. C[alef]. (London : printed for G. Kearsley, and Ashby and Neele, 1781) ; An universal atlas; being a set of maps, to illustrate ancient and modern geography, By T. Stackhouse (London : printed for the author, and sold by Ashby and Neele; W. Faden; T. Longman; J. Dodsley; and J. Robson, 1782) ; A poetical address to the ladies of Norfolk, (London : printed for the author, by S. Neele, 1785) ; Traité relatif a la table gravée pour la conjugaison des verbes françois & anglois = A treatise relative to the engraved table for the conjugation of French and English verbs, by Gel Conte, (London : printed by Tho. Rickaby; and sold by the author; Samuel Neele; S.W. Fores; and Rich. and Tho. Turner, 1786) ; The commercial and political atlas, by William Playfair (1786) ; A survey of the lakes of Cumberland, Westmorland, and Lancashire, by James Clarke (London : printed for the author, and sold by him at Penrith, Cumberland; also by J. Robson, and J. Faulder; P. W. Fores; S. J. Neele, London [etc], 1787) ; General map of the countries comprehended between the Black Sea and the Caspian (London : J. Edwards, 1788) ; A new & accurate plan of the cities of London, Westminster, & borough of Southwark : with the out parts & new buildings, completed to the year 1791 ; Plan of Cambridge, 1791 ; Letters from his excellency George Washington, ... to Sir John Sinclair, ... on agricultural, and other interesting topics. Engraved from the original letters, (London : the letter-press printed by W. Bulmer and Co.: the letters engraved by S. J. Neele: and the work sold, by G. and W. Nicol; Cadell and Davies; Robinsons; Sewell; W. Creech, Edinburgh; and J. Archer, Dublin, 1800) From the 1780s to about 1808 he engraved musical works, e.g. : [John] Danby's first book of catches, canons, and glees : for three, four & five voices, (London : Printed by J. Bland , ), engraved throughout, by S.J. Neele ; Thomas Billington's The children in the wood, (London, : Published by the author, . His plates were used for jigsaws. His sons, James and Josiah were in partnership by 1820 and continued his engraving business well into the nineteenth century. Another son Henry (1798-1828), poet and writer, born in the Strand, was educated at a private school at Kentish Town and was afterwards articled to a solicitor and admitted to practice. Henry continued to practise, but his attention was mainly devoted to literature. In January 1817, while still serving his articles, Neele published at his father's expense Odes, and other Poems. Imprint(s): Abbey: 1797: AS473. Thieme and Becker; Todd; Darlington and Howgego; Hannas; BM Satires 1782 ; Oxford DNB ; ESTC ; COPAC. NEIL Arthur, printer, 1, Eversham Buildings, Somerstown 1799. Registered press 1799. See also J. Neale. Todd. NESBIT, Charlton, wood engraver, Newcastle c1789-99; Fetter Lane c1799; Newcastle 1818-30; London 1830. B. 1775, Swalwell, Durham; d. 11 Nov. 1838, Queen's Elm, Brompton. App. Thomas Bewick c1789. Silver medal Society of Arts 1802. Much work for London and Newcastle publishers. DNB; Thieme and Becker. NEW, John, stationer, paper hanger and rag merchant, 21, Aldgate within 1785K-1786K; 8, Algate High Street 1787K-1830R+. Trading: alone 1785K-1822P; as New and son 1823P-1830R+. Also described as carvers 1823P+. NEWBERRY, Robert, printer, Milford Lane 1774. Westminster Poll 1774; Mo., Ma. NEWBERY, Elizabeth, bookseller, 20, Ludgate Street or 80, corner of St. Paul's Churchyard 1780-1793K; 21, Ludgate Street corner of St. Paul's Churchyard 1794K- 1804P; 37, Ludgate Street 1786. D. 1821. Nee Bryant. Widow of Francis Newbery q.v. Continued the business after his death 1780. Though remarried continued to use business name of Newbery. Burned out 1786, used 37, Ludgate street as temporary premises. Managers Abraham Badcock q.v. to 1797 then John Harris q.v. who purchased business when she retired 1801-2. Name appeared in some imprints to 1814. Imprint(s): Kress: 1800: B4085; Abhey: 1797: AS514 1799; AL439. Hannas. NEWBERY, Francis, bookseller, 65, St. Paul's Churchyard 1767-79; 45, East end of St. Paul's Churchyard 1779-1818. Trading: as Carnan and Newbery 1767-1782K; alone 1779-1818. B. 6 July 1743, s. of John N. (1713-67); d. 17 July 1818. Ed. at Merchant Taylors School, Trinity College, Oxford and later at Cambridge but took no degree. Marr. Mary Raikes, sister of Robert Raikes the printer of Gloucester. Partner with half-brother Thomas Carnan q.v. after father's death. Quarrelled with cousin Francis Newbery q.v. Premises contained 'the greatest variety of little books for children' and he sold 'Kennedy's celebrated cornplaster' and 'cakes for making shining liquid blacking', St. James's Chronicle Jan. 1775. Publ. various maps. After 1780 mainly confined to selling patent medicines from which he grew wealthy. Purchased Heathfield House, Sussex 1795. A commissioner of taxes he wrote various items on taxation. A lover of music, he played the violin and had his poems set to music by Dr. Crotch and others. DNB; Plomer; Nichols viii, 482; Chubb. NEWBERY, Francis, bookseller, Crown, Paternoster Row 1765-67; 20, Ludgate Street or 80, corner of St. Paul's Churchyard 1767-80. D. 1780. Uncle John Newbery (1713-67) set him up in business in Paternoster Row. On uncle's death set up on own after family quarrel with cousin Francis q.v. Specialised in juvenile literature. Publ. Public ledger 1767-74. Widow Elizabeth q.v. continued the business. Imprint(s): Kress: 1778; B167. DNB; Plomer; Nichols viii, 482; Timperley 746; Hannas; Musgrave. NEWCOMBE, printer, 9, Wych Street, Drury Lane 1785P. Howe; Todd. NEWMAN, John, bookseller and printseller, 17, Lombard Street 1792K. NEWMAN, William, engraver and printer, 1, Round Court, St. Martin's le Grand 1799H-1805H; 19, Pierrepont Row, Islington 1805H-1811H. Described as seal engraver 1799H-1802H. NEWTON, Charles, printer, London? D. 7 June 1792 aged 66. Musgrave. NEWTON, George, stationer, Union Street, Westminster 1774; King Street Westminster 1784B-1790U. Westminster Poll 1774: Mo., Ma. NEWTON, James, engraver, 21, Denmark Street, Soho 1776; at Mr Gamble's near King's Arms Stairs, Lambeth 1777; 14, Constitution Row, Gray's Inn Road 1799H-1802H. B. 2 Nov. 1748: d. c1804. Exhibited Society of Artists 1776-77. Brother William (1735-90) architect, son William John (1785-1869) engraver. Thieme and Becker. NEWTON, Thomas, newspaper agent, 5, Warwick Square 1805P-1825. B. Hereford 1768 ; d. 3 Aug. 1825, aged 57, bur. Christ Church Newgate Street. Marr., wife d. 20 Apr. 1801. Children: Nelson Norman b. c.1802, app. 1816, free and livery Sta. Co. 1824-1840, lunatic by 1863; Raymond D'Arcy, b. 1804, d. 1874, marr. Miss Bagster granddaughter of Alderman Crowder, printer of Public ledger, declared imbecile 1832, marr. Henrietta Goldsmid 1844. Thomas partner with William Tayler q.v. Timperley 753, 896; information from descendant. NEWTON, Richard, printseller, Old Bailey 1791; Great Portland Street 1791-92; 20, Walbrook 1794-95; 13, Bridges Street, Covent Garden 1797-1799H. Also artist. BM Satires 1791-98. NICHOLL Thomas, bookseller and circulating library, 124, Aldersgate Street 1799H-1807P. NICHOLLS, Thomas, bookseller and circulating library, 8, Orange Street, Red Lion Square 1799H-1802H. NICHOLS, John, printer, Earl's Court, Leicester Square 1796-1824; No. 5 1799-1817U; no. 7 1820R-1824; residence 24, Bridge Row, Lambeth 1823. Trading: as John Nichols 1796-1809H; as Lucy Nichols 1817U-1824Pi. Registered presses 1799, 1823. Westminster Poll 1796: T. Todd; Brown. NICHOLS, John, printer, Whitefriars 1766; 4, Red Lion Passage, Fleet Street 1767-1820P; 10, King Street, Westminster 1817-1830P; 25, Parliament Street 18181830P+. Trading: with William Bowyer 1766-77; alone 1777-1799L; as Nichols and son 1800-1811P, as Nichols, son and Bentley 1812-1819P; as Nichols and son 1820P- 1830P+. B. 2 Feb. 1745, Islington, s. of Edward N., baker; d. 26 Nov. 1826, Highbury. App. William Bowyer II £20 1759, free and livery Sta. Co. 1766, master 1804, 1766-99 20 apps. 6 premiums average £35. Ed. in Islington at school kept by John Shield. Attempted to obtain Cambridge University privileges 1765. Partner with Bowyer 1766. Succ. Bowyer on death 1777. Associated with Gentleman's magazine from 1778, sole manager 1792 to death. Edited and publ. Biographical memoirs of William Ged 1781. Publ. Domesday Book edit. By William Farley 1783. Facsimile types cut by Joseph Jackson destroyed in fire at Nichol's office 1808. Common councillor (Wilkite) Farrington ward without 1784-1811. Signed compositor's scale 1785. Offices destroyed by fire 7 May 1786. Registered presses 1799, 1800. Son John Bowyer N. taken as partner by 1800, ran business when father retired apart from occasional activity 1803. Office and stock destroyed by fire 8 Feb. 1808. Samuel Bentley partner 1812-18. Transferred £500 4 per cent annuities to Sta. Co. 1817, also presented several ports. to Co. Fellow of various antiquarian societies and author or editor of over 50 pubis., many historical. Friend of Dr. Johnson. Twice married, son by second wife his partner and successor. City Poll 1781: C. Imprint(s): Kress: 1777: S4885; 1778: S4925; 1780: B335, S4956, 4960; 1785: B955; 1789: B1523; 1790: B1994; 1793: B2576, 2636; 1794: B2713, 2760, 2796-97, 2821, 2841; 1795: B2880, 3024; 1797: B3475; 1798: B3735; 1799: B3916; 1800: B4237. Abbey: 1792: AT48. DNB; Plomer; Nichols, pass. ; Timperley 832, 867; Howe; Todd; Brown. NICHOLS, John Bowyer, printer, 48 Red Lion Passage, Fleet Street 1796-1820P; 10, King Street, Westminster 1817-66; 25, Parliament Street 1818-66. Trading: as John Nichols and son 1800-181 IP; as Nichols, son and Bentley 1812-1819P; as John Nichols and son 1820P-1823; as J. B. Nichols and son 1823-53: as J. B. Nichols and sons 1854-66. B. 15 July 1779 Red Lion Passage, s. of John N. by 2nd wife: d. 19 Oct. 1863, Ealing. Free Sta. Co. 1800, master 1850, 1801-13 14 apps., 2 premiums average £12. Entered father's firm 1796 and conducted the business from 1803. Printer of the House of Commons votes and proceedings. Sole controller of Gentleman's magazine to which he contributed many articles 1833-56. Printer to City of London for a short period. Produced most of the large 19th century county histories. A member of many learned societies and a noted antiquary. Blind in later years. Registered press 1857. Son John Gough N. (1806-73) succ. to business which was conducted by the Nichols family to 1940. DNB; Todd; Howe; Chubb. NICHOLSON, William, gentleman, New North Street, Red Lion Square 1790. Patent no. 1748 for improvements in printing including the principle of the cylinder press 29 Apr. 1790. Poss. connected with William Nicholson printer of the Weekly dispatch, 6, Little Warner Street, Clerkenwell 1801-12; 30, Coppice Row, Clerkenwell 1813-14; 7, Wine Office Court, Fleet Street, 1813, d. 29 Aug. 1814, registered presses 1801, 1813. Todd; Timperley, 765. NICOL, George, bookseller, Strand 1769-1788K; opp. York Buildings 1769; no. 441 1778K-1788L; 58, Pall Mall 1787-1820; 51, Pall Mall 1821-39; 60, Pall Mall 1839 -55. Trading: as Wilson and Nicol 1769-1780K; alone 1781L-1799L; as George and William Nicol 1800-37; as William Nicol 1838-55. B. 1741; d. 25 June 1829. App. uncle David Wilson in Strand. Taken into partnership c1769 until death of uncle 1777. Bookseller to Great Wardrobe 1779-82. Associated with William Bulmer 1787-1823. By 1800 assisted by son William who ran Bulmer's press at 3, Russell Court, Cleveland Row 1819-35. Booksellers to King 1781-1820. Idea of Boydell's Shakspeare was his. Shakespeare Press at 58, Pall Mall 1819. Personal friend of Duke of Roxburghe. Had a distinguised clientele. Member of dining club at Shakespeare Tavern. Imprint(s): Kress: 1786: B1020; 1788: B1503; 1789: B1659; 1790: B1937; 1793: B2581; 1795: B2960, 2975, 2992-93, 3029; 1796: B3097, 3213, 3232-35, 3251, 3275, 3311; 1797: B3536; 1798: B3690, 3696, 3701; 1799: B3903, 3923, 4035; 1800: (G. and W. Nicol) B4304; 1800-13: B4149; Abbey: 1787: AL58; 1794: AS388; 1796: AT677; 1797: AS143; 1800: AL331, (G. and W. Nicol) AL181,AT422; Tooley; 1794: 400. Plomer; Nichols iii, 671, vi, 434; Timperley 911; Todd. NICOL, William, bookseller, see George Nicol. NICOLINI, Charles, 5, Pall Mall 1800. Registered press 1800. Daniel Bastie and Lorenzo Daponte qq.v. at same address. Todd. NICOLL, William, bookseller and stationer, 51, the Paper Mill, St. Paul's Churchyard 1761-92. Free Musicians' Co. 11 July 1772, livery 21 Jan. 1773. Publ. political pamphlets, many printed for him by William Strahan. Musical imprints 1771, 1777. Publ. Lloyd's evening post 1761-78. Took in advertisements for Morning chronicle 1785P. Bankrupt 24 Jan. 1789, cert. 2 June 1789, divs. 21 Sept. 1790, 9 Aug. 1791, 2 Feb. 1793. Wife d. 7 July 1784. Imprints: Kress: 1775: A7158; 1778: B168; 1781: B358; 1788: B151214, 1517. Plomer; Humphries and Smith; Musgrave; Aspinall; BM Satires 1775. NIGHTINGALE, Thomas, calenderer, Milk Street 1790. Patent no. 1783 for calendering paper 16 Nov. 1790. NOBLE, Edward, journeyman bookseller, Brunswick Row 1784. D. 15 Apr. 1784. Foreman to Nichols. Author of Elements of linear perspective 1771. Worked on maps for Gough's translation of Camden's Britannia vol. 1 1782. Sons George q.v. Samuel, William Bonneau. Nichols vi, 621-22; Musgrave. NOBLE, Francis, bookseller and circulating library, Otway's Head, St. Martin's Court 1745-52; Otway's Head, King Street, Covent Garden 1752; 324 or 325, opp. Gray's Inn Gate, Holborn 1760-1790U. D. 7 June 1792, Kentish Town at an advanced age. Commenced one of the first four circulating libraries in London with brother John. Issued cat. c1746. Issued trade card c1750. Later in business separately but retired when his daughter shared in a £30,000 prize. Specialised in juvenile and second-hand books. Plomer; Nichols iii, 648; Timperley 776; Hamlyn; Musgrave. NOBLE, George, engraver, London. S. of Edward N. q.v. Fl. 1795-1806. Engraved for Boydell's Shakspeare and Bowyer's edit. of Hume's History of England 1806. Brothers Samuel (1779-1853) engraver and minister and William Bonneau (1780-1831) landscape painter. DNB Thieme and Becker. NOBLE, John, bookseller and circulating library, Dryden's or Otway's Head, St. Martin's Court 1745-1775. Brother of Francis N. q.v. Issued cat. 1767. Succ. by R. Disbrow by 1778. Westminster Poll 1774: Mo., Ma. Nichols iii 649; Plomer; Timperley 776; Hamlyn. NOBLE, Mary, paper and rag merchant, High Timber Street 1788K-1799H; no. l l 1788K-1798K; no.7 1797L. Succ. Richard Noble q.v. NOBLE, Richard, printer, 4, Great Shire Lane, Temple Bar 1790U-1800; 50, Chapel Street, Pentonville 1802H. Registered presses 1799, 1800. Related to Robert Noble. NOBLE, Richard, stationer and rag merchant, 11, High Timber Street, Thames Street 1785B-1787K. Succ. by Mary Noble q.v. NOBLE, Robert, Green Arbour Court, Old Bailey 1800; residence 4, Great Shire Lane 1800. Registered press 1800. Related to Richard Noble. Todd. NOBLE, Samuel, bookseller and circulating library, Pope's Head, Carnaby Street 1766-1774. Issued trade cards c1775. Labels Franks and Heal collections. Westminster Poll 1774: Mo., Ma. Succ. by Charles Geary. Plomer; Hamlyn. NODDER, Frederick P., engraver, at Mr. Royal's, glover, Panton Street 1773-78; 13, Panton Street 1787-88. S. of Mr. N. of Panton Street; d. c1800. Botanical painter to Queen 1787-88. Illustrated various botanical works 1788 Exhibited Society of Artists 1773-78; Free Society 1775-76; Royal Academy 1786-88. On his death publication was continued by his widow Elizabeth, the plates being produced by Richard P. Nodder, listed as painter, stationer and bookseller, 34, Tavistock Street, Covent Garden 1805H-1823R+. Elizabeth listed at same address 1809H-1817U. DNB; Thieme and Becker; Graves. NOEL, Amelia, watercolourist, engraver and publisher, 12, Edward Street, Cavendish Square 1795; 190, Piccadilly 1796-98; 189, Piccadilly 1797; 38, St. James's Place 1799-1802; 32, Albemarle Street 1804. Exhibited Royal Academy 1795-1804. Imprint(s): Abbey: 1797: AS 172. Thieme and Becker. NOELL, George, music seller, 24, Broad Lane, Golden Square 1790U. NOON, William, bookbinder, 30, Warwick Lane 1806-17. Aged 34 1806; decd. 1820. App. John Hayes 13 Apr. 1790, turned over to John Tuck 2 May 1797, free Sta. Co. 2 May 1797, livery 3 Sept. 1805, 1806-13 5 apps. 2 turn overs 2 premiums. Worked for Tuck 1797. Joined Trade Society 1797. Member of journeymen's trade committee 1799. Joined Benefit Society 1806. Eccentric, addicted to practical jokes. Howe; Ramsden. NORBORN, John, printseller, 153, High Holborn 1799H. NORBURY, Philip, printer, bookseller, stationer and circulating library, New Brentford 1799-1842; Post Office, New Brentford 1805H; near the Market Place, New Brentford 1808. Registered presses 1799. Also a toy dealer and agent for Royal Exchange Fire Office 1823-42. Todd. NORMAN, Peter, St. Dunstan's Hill 1799. Registered press 1799. Wife Elizabeth Norman, wine and dry cooper, 7, Dunstan's Alley 1800-08. Succ. by W. Norman 1810- 28. Todd. NORMAN, Thomas, pocket book maker, at Mr. March's, 2, Ludgate Street 1776. Free Musicians' Co. 17 Oct. 1776. His widow Anne paid quarterage 1786-88. NORRIS and BARNES, music sellers, see Barnes and Norris. NORRIS, bookbinder, Chapter House Court, St. Paul's 1792. D. 19 Dec. 1792. Musgrave. NORRIS, J., printer, Blake Court, Catherine Street 1792; 8, Moor Street, Soho 1805H (the same?). Publ. Morning post 1792, Evening chronicle 1799- 1802. Werkmeister; Aspinall. NORRIS, John, printer, 6, Red Lion Street, Southwark 1800-1805H; Red Cross Street, Borough 1809H. Trading: alone 1800-1805H; as Morris and Reeve 1809H. Registered press 1800. Todd. NORRIS, John, printseller and publisher, Rathbone Place 1777-82. Prob. fictitious. BM Satires. NORRIS, Mary, vellum and parchment maker, Long Lane, Southwark 1798L-I830R; no. 44 1826R-I830R+. Trading: alone 1798L-1809H; as Mary Morris and son 1810P-1817; as William Morris 1818P-1830R+. Also described as glue manufactory 1826R+. NORRIS, William Phillips, engraver and printer, 15, Broker's Row, Little Moorgate 1799-1824; 1, Ingram Court, Fenchurch Street 1799; 9, Black Raven Court, Seething Lane 1799; 15, Bloomfield Street, Finsbury Crescent 1825-36. Trading: as Phillips and Norris 1800P, otherwise alone. Registered press 1799. Todd. NORRIS, William, bookbinder, Ivy Lane 1747-75. S. of Christopher N. I, bookbinder. App. his father 3 Feb. 1730, free Sta. Co. 5 Apr. 1737, 1747-75 5 apps., 1 turn over, l premium 5 an. Howe. NORRIS, William, engraver, Talbot Court, Gracechurch Street 1784B-1811H; no. 5 1784B-1785P, no. 3 1799H-1811H. NORTH, Thomas, printer, bookseller and stationer, 4, Little Tower Street 1785P-1819. S. of Joshua N. of St. Botolph Aldgate, fanmaker. App. Charles Say 1770, livery Sta. Co. 1790, 1785-1807 7 apps., 4 premiums average £30. Described as perfumer 1784B. Registered press 1799. Todd. NORTON, Richard, printer, stationer, bookbinder and paperhanger, John Street, Oxford Street 1790U; 1, John Street 1794B-1799H; 26, Charlotte Street, Fitzroy Square 1800P-1824. Trading: alone 1790U-1809H; as Richard Norton and son 1811H-1824. Todd. NOTICE, I., printseller and publisher, Oxford Road 1784. Must be a pseudonym. BM Satires. NOURSE, Charles, bookseller, 138, Strand 1780-89. D. 19 Apr. 1789 aged 75, Oxford. 'Chirurgus privilegatus', Oxford 4 May 1739. Active as surgeon at Oxford. After John Nourse's death Francis Wingrave carried on his bookselling business for him and succeeded after Charles's death. Knighted 15 Aug. 1786. Imprint(s): Kress: 1781: B434. Nichols iii, 732-33; Timperley 746; Musgrave; Joseph Foster: Alumni Oxonienses. NOURSE, John, bookseller, Strand c1730-80; Lamb, without Temple Bar c1730; opp. Catherine Street 1763M; no. 138 1774L-1780L. D. 24 Apr. 1780. Succ. W. Mears. Issued edit. of Horace with Brotherton 1736. Bookseller to King 1762-80. Importer of foreign books 1763M. A man of science, especially mathematics. Publ. many books in this field, also in French language. After his death the business was carried on by Francis Wingrave for Charles Nourse. Appointed bookseller to the Society for the Encouragement of Learning. Imprint(s): Kress: 1775: A7166, S4832; 1780: B318. Plomer; Nichols iii, 732-33; Timperley 746; Musgrave. NOYES, James, copperplate printer, Wych Street 1774-81; St. Clement's Lane 1776-77; St. Clement Danes 1782. Presumably free Merchant Taylors' Co., apps. Edward Jones 7 Aug. 1776, Thomas Cutler 5 Feb. 1777, Elisha Dean 2 July 1777; Thomas Long 4 July 1781, James Williams 7 Aug. 1782. Westminster poll 1774: Mo., Ma.,. NUIT, Richard, printer, Savoy 1724. Poss. s. of John N., printer; d. 11 Mar. 1780 aged 86, Bartlett's Buildings. Many years printer of London evening post. Long retired from business. Plomer; Nichols iii, 733; Timperley 746; Musgrave. NUNN, James, bookseller, stationer and bookbinder, Great Queen Street 1785P-1830R; no. 48 1785P-1830R ; no 49 1805H-1830R; no. 41 1812P-1817U. Trade card Heal collection. Son William app. Henry Lasher Gardner of Strand, bookseller 1798. Howe; Ramsden; BM Satires 1785-86. NUTLEY, George, circulating library, stationer and bookseller, Kensington c1794U; High Street, Kensington 1799H; York Street, Hans Place 1802H-1805H; Hans Place, Brompton 181I H.
NUTT, J., printer, London 1799. Printed Express and London herald 1799. Aspinall. NUTTER, William, engraver, 101, Tottenham Court Road 1782-83. B. c1759; d. 14 Mar. 1802, Somers Town, bur. Whitefields Tabernacle, Tottenham Court Road. Pupil of John Raphael Smith. Always used stipple manner of Bartolozzi. Plates dated 1780-1800 mainly after leading artists of time. Exhibited Royal Academy 1782-83. DNB; Graves. OAKMAN, John, wood engraver, London etc. B. c1748 Hendon, Middlesex; d. Oct. 1793, King Street Westminster. App. Emanuel Bowen, map engraver. Left Bowen after an intrigue with his daughter whom he later married. Kept shop for sale of caricatures and prints. Author of several disreputable novels and songs for Vauxhall and other gardens, as well as burlettas for Ashley's theatre etc. Wood engravings for juvenile books. D. at sister's house after a vagrant life. DNB. O'BRIEN, C., publisher, Islington 1792. Imprint(s): Kress: 1792; B2431. OCKS, Ralph, engraver, London 1788. D. 1788 aged 84. Engraver to Mint. Musgrave. OFFER, George, bookseller, 2, Postern Row, Tower Hill 1799H-1824K. Also described as toyman 1800P. Prob. related to John Offer, bookseller, 44, Newgate Street 1821P. OFFERD, Daniel, bookseller and stationer, 21, Great Russell Street 1785B-1804P. Previously Evans and Offerd q.v. OGBORN, Richard, stationer, 122, Bishopsgate within 1790L-1820P. Livery Drapers' Go. by 1792. Succ. John Merry q.v. Listed as Osborn, Richard 1790L-1795L. OGBORNE, John, engraver, 58, Tottenham Court Road 1785; 58, Great Portland Street 1802H-1811H; 59, Great Portland Street 1805H. B. 1755, Chelmsford. s. of David O., painter; d. c1795 or Nov. 1837 (this poss. the date of his son's death). Pupil of Bartolozzi for whom he worked in stipple manner. Later also used line manner. Plates after Boydell and others for Boydell's Shakspeare gallery, also many other plates after Angelica Kauffmann, T. Stothard and others. Engr. ports. for J. Thane's Illustrious British characters. Publ. many works himself. Exhibited Royal Academy 1785. Wife Elizabeth historian. DNB; Thieme and Becker; Graves. OGILVY, David, bookseller and circulating library, 32 Middle Row, Holborn 1783B-1797L; 315, High Holborn 1797-1807P. Trading: alone 1783B-1786; as Ogilvy and Speare 1787-1797L; as Ogilvy and son 1797-1807P. D. 9 Oct. 1812 aged 70, Southgate. Publ. cats. 1784-88. Opened London and Westminster circulating library 1797. T. King sold bookstock 2 June 1807 and circulating library 15 June 1807. Nichols iii, 649, viii, 463; Timperley 848; BM Book sales; Hamlyn. OHREN, Magnus, stationer and paper hanger, Broad Street, Ratcliffe 1799H-1830P; no. 103 1799H; no. 92 1802H-1810P; no. 9 1811P-1814P, no. 12 1815P-1819P; no. 81 1820P-1830P+. Trading: alone 1799H-1814P; as Magnus Ohren and son 1815P-1820P; as Magnus Ohren junior 1821P-1830P+. Presumably related to Charles Ohren, oil and colour man 103, Broad Street, Ratcliffe 1808P+. OLD, James, bookbinder, Blackfriars 1770; Shoemaker Row, Blackfriars 1780-81. S. of John O. of London, mariner. App. James Cook 6 June 1749, turned over to Philip Brice 4 Dec. 1750, free Sta. Co. 6 July 1756, 1780-81 1 app. 1 turn over. Son John bookbinder t.v. Howe; Ramsden. OLD, John, bookbinder, 23, Bull and Mouth Street 1800-1828Pi. S. of James O., bookbinder q.v. App. John French 6 Nov. 1770, free Sta. Co. 2 Dec. 1777, 1800-24 9 apps.2 premiums £10, £4. Howe; Ramsden. OLIVER, James, bookbinder, 6, Ray Street, Clerkenwell 1802H-1811H. S. of James O. of Little Britain shoemaker. App. James Black 7 July 1789, never free. Howe; Ramsden. OLIVER, John, printer, Bartholomew Close c1740-75. Trading: alone c1740-67; as J. and W. Oliver c1767-75. D. 19 Jan. 1775 aged 73, Bartholomew Close. Printer to the SPCK. Also printed for Methodists and other nonconformists incl. works of Wesley. Plomer; Nichols iii, 733; Timperley 734; Musgrave; St. James's chronicle3 Jan. 1775. OLIVER, Richard, bookbinder, Butcher Hall Lane 1763; Newgate Street 1764; Parish of Christ Church 1766 Angel Street, Butcher Hall Lane 1766-76. S. of George O. of Whitecross Street, turner. App. Thomas Rider £5 6 Mar. 1750, free Sta. Co. 7 July 1757, 1763-76 10 apps. 2 premiums £40, £10. Howe. OLIVER, W., printer, see John Oliver. OREY, Samuel, engraver, printseller and stationer, Great Carter Lane, Doctors' Commons 1787; at F. Newbery's, corner of St. Paul's Churchyard 1768; near Temple Bar 1770. Mezzotint engraver. Premiums Society of Arts 1765, 1767. Exhibited Society of Artists 1767-68. Publ. plates together with Mr. Reaks 1770-73. To Newport, Rhode Island where he is recorded 1773-80 but uncertain whether he stayed there. DNB; Thieme and Becker; Graves. ORFORD, John, stationer, 44, Dean Street, Soho 1799H. ORIEL, Philip II, stationer, 159, Aldersgate Street 1780L-1830R+. Livery Sta. Co. by 1784. City Poll 1784: A.
ORlEL, Philip I, stationer, Aldersgate Street 1761K-1776K; no. 175 1767K-1775N; no. 167 1772L-1776K. App. Benjamin Bowtell, turned over to Alexander Wood cit. and haberdasher, turned over to Samuel Sumpter, free Merchant Taylors' Co. 5 July 1749, livery 2 May 1760, apps. R. V. Brooke, free 1776, John Burton 7 Mar. 1775. Bankrupt 1777, cert. 26 Sept. 1778, div. 24 Mar. 1787. ORLIBAR, Turner, law stationer, 6, Chancery Lane 1789A-1790U. Members of the Orlibar or Orlebar family were in the legal profession in the early 19th century but this prob. error for Orlibar Turner q.v. ORME, Daniel, printseller and engraver, 14, Old Bond Street 1792-1797L; 23, Holles Street, Cavendish Square 1797-1800; 118, New Bond Street 1801-1802H. B. c1766 Manchester, s. of John O., merchant; d. after 1832, Buxton, Derbyshire. Ed. Royal Academy 1788, exhibited 1797-1801. Practised as portrait painter in London, also stipple engraver. In business as Daniel Orme and Co. in 1790's. Engraved his own and others' portraits. Historian engraver in imitation of chalk drawings to King 1797 -1820. Historical engraver to Prince of Wales 1797-1803. Returned to Manchester (40, Piccadilly) Oct. 1814. Imprint(s): Abbey: 1792: AL155. DNB; Thieme and Becker; Graves. ORME, Edward, printseller, Conduit Street 1798-1800P; New Bond Street 1801-1823R; no. 59 1801-1817U; corner Brooke Street 1810P-1818P; no. 64 1809H, 1819R; no. 65 1820R. Printseller in ordinary and engraver to King 1799H-1820, to Prince of Wales 1817U. Exhibited Royal Academy 1801-03. Graves. ORSON, M., stationer, 65, St. John's Street 1799H. OSBORN, Richard, stationer, Bishopsgate within 1790L-1795L; no. 122 1792L-1795L.Error for Ogborn, Richard q.v. OSBORNE, John junior, bookseller, London. D. Mar. 1775. Free Sta. Co. Poss. son of John Osborn(e), bookseller of Paternoster Row 1725-39. Timperley 734. OSBORNE, John, bookbinder, Maddox Street 1784. Westminster Poll 1784: F. Poss. the same as John Osborne, bookbinder, 10, Suffolk Street, Middlesex Hospital 1805H. OTRIDGE, John, bookseller, 158, Strand 1789L-1794B. See also William Otridge. OTRIDGE, William, bookseller and bookbinder, Strand 1767-1825; opp. New Church 1772L; no. 134 1778-1817; no. 39 1818-25. Trading: alone 1767-1794B; as William Otridge and son 1794-1815; as William and John Otridge 1797L; as John Otridge 1816-21; as Otridge and Rackham 1822-25. D. 9 Nov. 1812, Turnham Green. Publ. cats. alone 1767-90, with son 1794-96. Westminster Poll 1774: Pe., Cl. Maintained bindery 1794. Employed Kalthoeber c1816. Son John q.v. in business on own and with William whom he succ. Imprint(s): Abbey: 1795: AS514; 1800: AL331. Plomer; Nichols ii, 299, iii 654; Howe; Brown; BM Book sales. OVENDEN, Richard, engraver, Butcher Row 1774. Westminster Poll 1774: Mo., Ma. OVENDEN, T., engraver, London 1790-1813. Engraved bookplates. Prob. the same as Thomas and Joseph Ovenden, engravers, 8, Newcastle Court, Strand 1811H; R. T. T. and J. Ovenden at same address 1817U. Thieme and Becker. OWEN, bookseller, see Thomas Scollick. OWEN, Edward, printer, Amen Corner or Warwick Lane c1732; Warwick Lane 1734-71; near Chancery Lane, Holborn 1743-70. D. 1783. Printed London gazette, alone 1734-56, with Thomas Harrison 1756-71. Prob. retired 1771. Succ. by former apprentice and partner Thomas Harrison. Plomer; Nichols iii, 727. OWEN, J., bookseller and stationer, 187, Piccadilly 1792U-1793L; 168, Piccadilly 1792K-1797L. Bankrupt 20 May 1797. Imprint(s): Kress: 1795: B2997-99; 1796: B3090-91, 3285. Brown. OWEN, John, paper stainer and stationer, 173, Shoreditch 1784B-1823P. Trading: alone 1784B-1817P; as Owen and Evans 1818P-1823P. Listed as M. Owen 1809H. See also Charles Owen. OWEN, R., printseller and publisher, Fleet Street 1782. BM Satires. OWEN, William I, bookseller and mineral water warehouse, 11, Homer's Head, Fleet Street c1748-1798K. Trading: as William Owen and son 1783B, otherwise alone. D. 1 Dec. 1793. App. 5 Feb. 1733, free Sta. Co. 1 Apr. 1740, livery 6 Feb. 1750, court 7 Apr. 1778, master 1781. publ. The gazetteer and general magazine of arts and sciences 1755-65. Tried and acquitted at Guildhall for publ. The case of Alexander Murray Esq. 1752. With W. Goadby of Sherborn obtained a 14 year licence for An authentic account ...of all the fairs in England and Wales 1756. They also publ. a series of road books together. Publ. political pamphlets and some music. 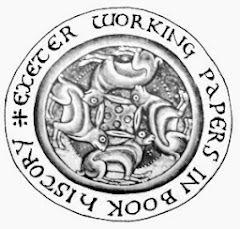 Took in advertisements for Exeter journal 1785P. Wife d. 5 Aug. 1786. Publ. cat. 1787. Son William II q.v.. Imprint(s): Kress: 1777: B51; 1782: B494; 1783: B616. Plomer; Nichols iii, 654; Timperley 781; Humphries and Smith; Chubb; Musgrave; Blagden. OWEN, William II, bookseller, 11, Fleet Street 1783B-1792. Son of William O. I. q.v. Livery Sta. Co. by 1792. Partner with father 1783B. OXENHAM, Thomas, press and mangle maker, 354, Oxford Street 1800-13. Trading: alone 1800-08; as Thomas Oxenham and son 1809-13. Succ. by John Thomas Oxenham, Samuel Oxenham and Thomas Eddy. Family active as auctioneers, appraisers etc. to 1840P+. Todd. OXLADE, William, bookbinder, St. Paul's Churchyard 1767; Chiswell Street 1786. S. of William O. of Sheer Lane, labourer. App. Thomas Knowles 6 Nov. 1759, free Sta. Co. 2 Dec. 1766, 1767-86 2 apps. Howe.